Conference Archives — Get More Math! The Virginia Association of Secondary School Principals, with support from the Virginia Department of Education and Virginia Foundation for Educational Leadership, invite you to the 92nd Annual Virginia Middle and High School Principals Conference & Exposition. Head over to the VASSP website to register for the conference. We are looking forward to exhibiting at this show! Please stop by and say hello to the Get More Math team to learn more about our innovative math practice solution. The 1,000 plus members of the Virginia Association of Elementary School Principals (VAESP) are very excited about the upcoming Annual Conference, which will be held June 27-29, 2019, Great Wolf Lodge and Conference Center, Williamsburg, Virginia. The VAESP website contains registration details. We are looking forward to exhibiting at this show! Please stop by and say hello to the Get More Math team to learn more about our innovative math practice solution. 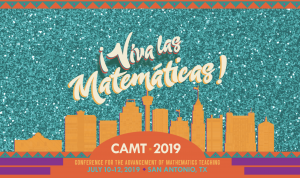 CAMT’s mission is to assist in upgrading the quality of mathematics education in the state of Texas by presenting an annual conference for teachers and supervisors of mathematics designed to improve the knowledge and skills of mathematics teachers and supervisors. The three-day conference is conducted each summer, on a rotating basis, in Fort Worth, Houston, and San Antonio. Head to the CAMT website to register so you can join us for this great event in Texas! The Instructional Coaching Conference (ICC) is a conference that hosts dynamic thought leaders in instructional coaching. Explore new ideas and gain insights through interactive breakouts, fun socials with Keynotes, exhibits, demonstrations, playground, reflection lounge and much more. 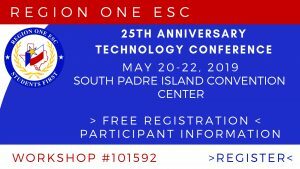 Visit the ESC 13 main site to register - we hope to see you there! Save the date! The Get More Math Texas team will be in attendance at the 2019 Texas Association of Community Schools (TACS) 2019 located in Austin, Texas. TACS represents school districts with no more than one high school or 12,000 ADA. TACS membership comprises the small, mid-sized and rural school districts in Texas and represents more than 700 school districts. We look forward to seeing you there! Click here for TACS registration information.